Other Notes: Ledger lists the burial year as 1926 but the monument and Oregon Death Index clearly says 1929. Burial is recorded in the ledgers but monument is missing. record is clearly Male. Son of Fred and Daisy Wildgrube. Notes: Burial is recorded in the ledgers but monument is missing. Wife of Jesse P. Wildgrube. Contribution from neighbor, Stephen Baker: Christian and Kattie Wilhelm purchased remainder of John Zumwalt DLC (westerly portion--adjacent to and west of the Graham's Ferry landing), w/ original Zumwalt house (razed in late 1990's) and barn (razed in early 1990's). Not homesteaders. Their new, "modern" barn still stands and has been restored by the equestrian facility. Some of the Zumwalt fruit trees still exist also. The Wilhelms were from Germany. The Family sailed by sailing vessel "around The Horn" and brought much fancy furniture (including a rosewood piano) and modern farm equipment and were considered more affluent than the surrounding farmers at the time. Two of their children were Henry and Lena, who both lived at the farm until their deaths. Frances Wilhelm (long-time teacher) was Henry's wife. Charles Gill (buried beside Lena) was Frances's brother. Related to the Wilhelm family and farm which was located on present-day SW 65th (formerly SW Meridian Road) and site of present-day Wilhelm Farms development. For more information Stephen Baker can be reached at 310-490-8510 or email sgb90210 at aol.com. Last Name: WILHELM First: Frances Middle: V.
Contribution form neighbor, Stephen Baker: A long-time teacher and wife of Henry Wilhelm, son of Christian and Kattie Wilhelm. Contribution form neighbor, Stephen Baker: Son of Christian and Kattie Wilhelm, he and his sister Lena both lived at the Wilhelm farm until their deaths. Frances Wilhelm (long-time teacher) was Henry's wife. Charles Gill (buried beside Lena) was Frances's brother. No blood relation w/ the Wilhelms. Henry and his sister, Lena, attended a 1-room schoolhouse at a location near the intersection of SW Graham's Ferry and SW Bell Road, just west of the 1906 Edward & Emma Baker home (2-sty., still standing, though extensively expanded). There was a post office in the previous, old house and the postal name was "Graeme, Oregon." There was a Graeme family on the southern terminus of the Graham's Ferry crossing, or this could have been another, old spelling for the John Graham family name. Would have to investigate US Postal records. Contribution from neighbor, Stephen Baker: Christian and Kattie Wilhelm purchased remainder of John Zumwalt DLC (westerly portion--adjacent to and west of the Graham's Ferry landing), w/ original Zumwalt house (razed in late 1990's) and barn (razed in early 1990's). Not homesteaders. Their new, "modern" barn still stands and has been restored by the equestrian facility. Some of the Zumwalt fruit trees still exist also. The Wilhelms were from Germany. Two of their children were Henry and Lena, who both lived at the farm until their deaths. Frances Wilhelm (long-time teacher) was Henry's wife. Charles Gill (buried beside Lena) was Frances's brother. No blood relation w/ the Wilhelms. Last Name: WILHELM First: Lena (Helena) Middle: A. Contribution form neighbor, Stephen Baker: Daughter of Christian and Kattie Wilhelm, she and her brother Henry both lived at the Wilhelm farm until their deaths. Frances Wilhelm (long-time teacher) was Henry's wife. Charles Gill (buried beside Lena) was Frances's brother. No blood relation w/ the Wilhelms. Lena and her brother, Henry, attended a 1-room schoolhouse at a location near the intersection of SW Graham's Ferry and SW Bell Road, just west of the 1906 Edward & Emma Baker home (2-sty., still standing, though extensively expanded). There was a post office in the previous, old house and the postal name was "Graeme, Oregon." There was a Graeme family on the southern terminus of the Graham's Ferry crossing, or this could have been another, old spelling for the John Graham family name. Would have to investigate US Postal records. JANUARY 27, 1988 LENA A. Longtime Brightwood resident Dovie Marie Williams died Monday, March 5. She was 95. A funeral service was held Saturday, March 10, at Sandy Funeral Home. Burial was at Pleasant View Cemetery in Sherwood. Dovie was born Dec. 15, 1916, in Delaware County, Okla., to Robert and Mary (Welch) Livingston. She spent most of her younger years living with her family on the prairie. On Nov. 29, 1934, Dovie married Lloyd O. Williams in Tulsa, Okla. They moved to Oregon in the early 1940s. 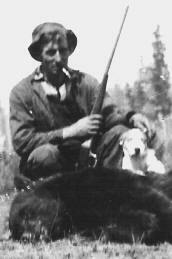 Dovie worked for a short time as a head cook for a logging company in Tygh Valley. She and Lloyd moved to Brightwood, where they made their permanent home. Dovie worked in the shipyards in Portland. She eventually left the shipyards and decided to work closer to home. She became a personal housekeeper for several Brightwood-area residents, which included the Bowmans of Welches, who developed what is now known as The Resort at the Mountain; and the Koch family, who owned the lumber mill in Sandy. Dovie retired in the late 1970s to become a homemaker and nurserywoman. She and Lloyd spent years operating the Mohe Nursery, where they sold azaleas and rhododendrons. After Lloyd's death in 1983, Dovie continued to maintain her home and the land. She tended a large garden where she raised fresh vegetables for her family. Dovie always made sure anyone who came to her home was loved and well fed with her down-home cooking. She moved to Avamere at Sandy Assisted Living because of declining health. She was preceded in death by a grandson in 1982; her son, Ray, in 1998; brother, Houston; and sister, Maime. Survivors include her daughters, Wilma Jean Flanagin of Gresham, Avis Ballard of Sandy and Mavis Murray of Crooked River; eight grandchildren; and five great-grandchildren. Notes: Listed in the ledger as "Lois Balsiger"
Ledger Notes: Age: 74 Yrs., 8 Mos., 24 Days Funeral: Carol Funeral Home, Inc.
Notes: Likely pioneer. The ledger lists a burial date in 1905 but stone says death date is 1906. Charles Wilson was the first postmaster in Wilsonville and the town was named after him. At his home in Sherwood, Charles Wilson, an old Oregon mercantile pioneer having been the founder of Wilsonville. He leaves a large family of children and grandchildren besides his wife. The burial took place in Pleasant Hill cemetery. Notes: His brother Fritz has a stone next to him in #10 that is about to be lost to the sod. Died: Mr. Wilson, founder of Wilsonville, lost his 14 years old son this week. Diptheria was the fatal disease. Other Remarks: Monument is missing but burial is recorded in the Ledger. Ledger Notes: Age: 52 Yrs. Funeral: Carroll Funeral Home, Inc.
Notes: Likely Pioneer. Her husband, Charles Wilson was the first postmaster in Wilsonville and the town was named after him. Some date discrepancies between the obituary and monument. Funeral services for Mrs. Fredricka Wilson, pioneer Oregon woman who died on February 1, were held last Sunday afternoon at the Sherwood Methodist church under the direction of J. P. Finley & Son of Portland. Fredricka Kurtz was born in Wattenberg, Germany August 15, 1849. She came to Oregon in 1871. She was over 88 years of age when her eventful life was closed. She had lived 42 years in Sherwood. She was married to Charles Wilson and to this union 12 children were born, five boys and seven girls. She also raised two step-children. The father and husband, two boys and three girls preceded her in death. Mrs. Wilson was a member of the Lutheran church. The Wilson family moved in 1871 to what is now Wilsonville, the town being named from them, where Mrs. Wilson operated the first store and post office. She herself brought the mail from Champoeg by row boat and later from Aurora by horseback. Those bereaved by her death include Mrs. R. H. Thompson and Mrs. W. O. Roy of Portland, and Mrs. Anna Hess, Mrs. Matilda Voss, William and Laurence Wilson, all of Sherwood, and Harry Wilson of Cook, Wash. There were 12 children in the family, 33 grandchildren, 31 great grandchildren, 6 great great grandchildren, a niece and a nephew. Notes: His brother Charles should be next to him in #9 but that monument is missing. Monument Problems: Broken, pieces missing; was mostly underground but has been rescued and set in gravel. Engraving: Clear, but worn, lettering as some chips. Last Name: Wilson First: George Middle: W.
Notes: Possible Pioneer No apparent connection to the other Wilson's at PVC. Family Contribution: Youngest child of Charles and Fredericka Wilson. He died Dec. 6, 1975 in Vancouver, WA. Brother of William, Lawrence, Charles ("Fritz"), Fred, Nellie Wilson Smith (Glover), "Lizzie" Louisa Boston, Matilda Voss and step-brother to Bertha Hasslebrink, all buried in this cemetery. His other sisters are Anna Hess, Rose Thompson, Mary Roy and Amelia Gosser buried in other places. Funeral services were held Wednesday for Harry Wilson, World War I veteran and longtime resident of the Mill A-Cook area, who died in a Vancouver hospital Saturday, December 6 at the age of 81. Mr. Wilson was born March 18, 1894 in Wilsonville, Oregon, the son of pioneers Charles and Fredricka Kurtz Wilson who had founded the town and for whom it was named. Charles Wilson ran a general store, was postmaster and served as mayor of Wilsonville, located near Portland in the Willamette Valley. Harry Wilson grew up in Wilsonville and served in France during World War I with the 9th Field Signal Battalion, attached to the 5th Infantry Division. In 1919 he and his wife Edith moved to the Mill A area and later to Cook. During the 1930's he served as a tractor driver and supervisor with the Civilian Conservation Corps and later was a Skamania County employee until his retirement. Mr. Wilson was a member of the Masonic Lodge 187 of Carson and was active in the American Legion, Veterans of Foreign Wars and World War I Barracks. He is survived by his wife Edith of Boise, Idaho; four daughters, Mrs. Patricia DeWalt of White Salmon, Wanda Clifford of Boise, Harriet Bone of Huntington, Oregon and Floradele Wykle of Denver, Colorado. Also surviving is one sister, Mary Roy of Portland. There are 11 grandchildren and seven great grandchildren. Funeral services were held Wednesday at Gardner's Funeral Home in White Salmon with the Rev. Fred Haag officiating. Interment followed at the Pleasant View Cemetery in Sherwood, Oregon. Serving as honora5ry casket bearers were Irwin E. Brock, Cecil Nichols, Eric Kuehl, Fred Nielsen, Walter Hockinson and Sid Ostroski. Other Notes: In ledger under "Orpha Maurine Wilson"; ledger indicates Plot #8 but appears to be in Plot #7. William Wilson, 95, formerly of Sherwood, died Mar. 19 in the Forest Grove Community hospital. Graveside services were at Pleasant Hill Cemetery Saturday with the Rev. Otis Harden officiating. Mr. Wilson was born the son of Charles Wilson and the former Fredriecka Kurtz on Sept. 26, 1873 in Wilsonville. He moved with his parents at the age of five. Their home was where the present school buildings are now located. Mr. Wilson has continued to live at the rear of the school property in a small cottage. He was confined to a nursing home the past five years. Surviving are a sister, Mrs. Mary Roy, Portland; brother Harry Wilson of Cook, Wash.; several nieces and nephews including Mrs. Vena Ober of Banks. Sherwood Attrell's Funeral Chapel was in charge of the arrangements.